Imagine that thousands of people could read a postcard you have written, what would your message to the world be? 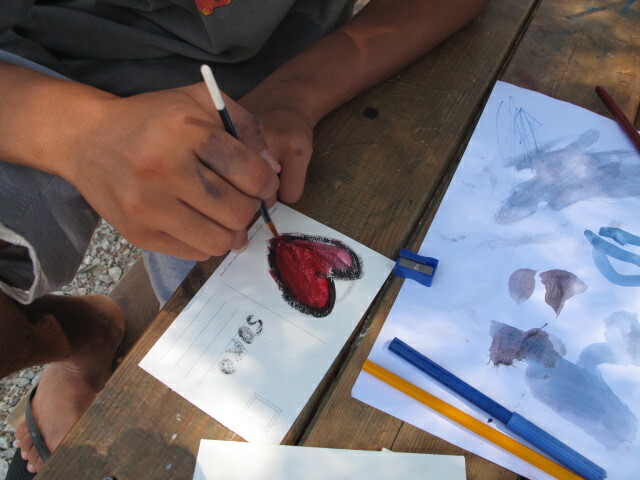 Participants were depicting what they thought about refugees and immigration on postcards and refugees sent the messages out of the camp. The results were most of the times shocking and heartbreaking. We have done the same workshops in London in many other occasions, but had never thought how different this workshop could be in a refugee camp. Participants found in these postcards a powerful way to denounce to the world their desperate situation. 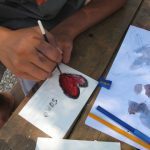 We discovered that this was an amazing medium for children and teenagers to express their experiences in the refugee camps. Refugees think that the rest of the world doesn’t care, and they are partially right. This is why, we are planning to give continuation to this project and bring this opportunity to many other refugee camps. We want the rest of the world to receive these messages, we want people to get actively involved and empathise with the desperate situation of hundreds of children and teenagers claiming to have a normal life.